Our story this week comes from Francine Kiefer of Washington, D.C., USA, whose grandfather Felix Kiefer of Ettlingen fought in the Great War. Felix was born on September 11, 1891 in Ettlingen, the youngest of seven surviving children in his family. He was the younger brother of Ettlingen's sculptor Oskar Kiefer, who designed Germany's first "anti-war memorial" for Ettlingen, shown in the section List of Fallen, of Tor Kiefer, who worked as a doctor at both the Eastern and Western Fronts, and of Sylvestra Kiefer, who worked as a nurse at the Western Front. Like his brother Tor, Felix also served at both the Eastern and Western Fronts. He volunteered for the Army in 1914 in Munich, where he was studying chemistry at university, and entered a Bavarian regiment - the RIR 16. 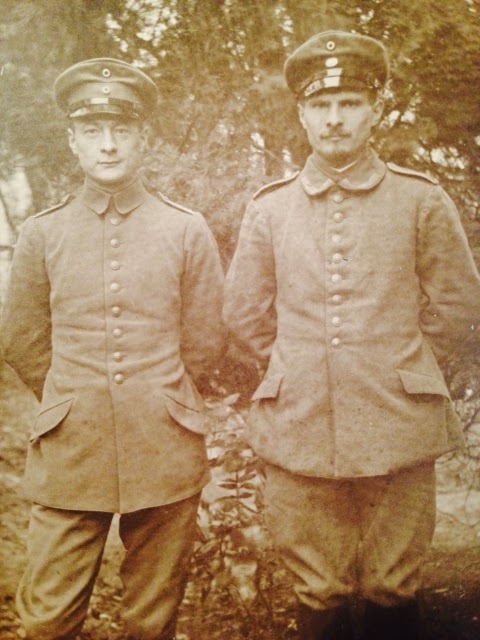 Felix first served in the 4th Company of the Königlich Bayerisches Reserve-Infanterie-Regiment 16 as an Unteroffizier. When the RIR 16 was formed in September 1914, it consisted of approximately 3,300 officers and men, and was part of the Reserve-Infanterie-Brigade 12, which in turn belonged to the 6th Bavarian Reserve Division. In 1916, Felix was promoted to Leutnant and had moved to the 3rd Bavarian Regiment of the 11th Bavarian Division. Felix's son Alexander, who later wrote an account of his father's life, recorded that Felix served in "several major battles in France", and that he was twice decorated. 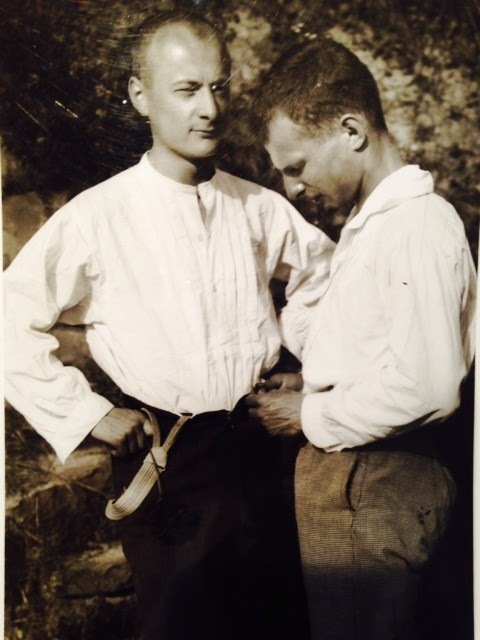 In the East, he served in Galicia (present day Ukraine) and Romania, as well as spending time in Budapest, Hungary. He was wounded on various occasions - once in October 1916, when he was sent to a lazaret in Brest-Litowsk (present day Belarus) and once in October 1914 in Belgium, after which he was sent to a lazaret in Hamburg. According to his son Alexander, "deeply scarred by war, Felix was released from military service in the spring of 1918 and resumed his studies". 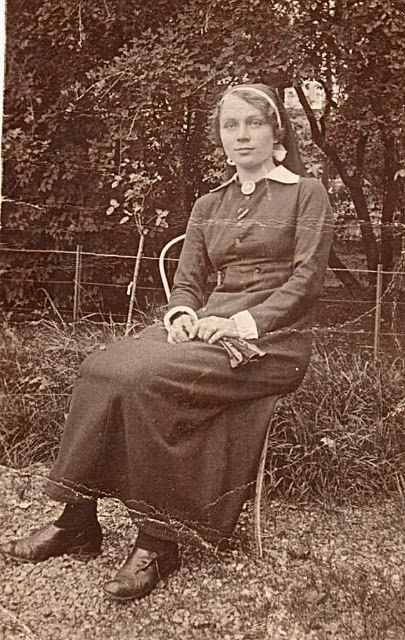 Erne Maria Schumann was born on October 29, 1887 in Papenburg. Four years older than Felix, her relationship with him developed in Munich while he was a university student and they married on July 20, 1916. One year later, they had their first child, Alexander - Francine's father - in Munich on August 20, 1917. Their second child, Judith, was born on April 9, 1922 in Elz. Like Felix's sister Sylvestra, Erne served as a nurse on the Western Front. She was stationed in Sedan in 1915, but was back in Munich in 1916 for the rest of the war. Felix and Erne corresponded almost daily and sometimes twice a day when they were apart from each other. After finishing his studies in Munich, Felix took a PhD at the Bavarian University of Erlangen, which he completed in 1919. He subsequently worked as a chemist at various factories until the collapse of the German economy during the period of the Weimar Republic in the 1920s. Felix saw no other option but to emigrate to the United States. He arrived in New York in February 1927, but was then posted to Honduras, where he worked as the head chemist of the Standard Fruit company. Here, he directed the agricultural laboratory, which dealt mainly in bananas. In December 1927, his family arrived in New Orleans, then later joined him in Honduras. Malaria and lack of educational opportunity for the children caused him to relocate permanently to the United States in the fall of 1928, where he worked in the states of North Carolina, Maryland and New York as a chemist and a college teacher. His specialty was food chemistry, and he held various patents for food preservatives, including breakfast cereal, dry milk, and margarine. Felix and Erne both became US citizens. When Erne died on October 1, 1938, Felix grieved deeply. He eventually remarried a German woman, Gisela Menzinger of Bruchsal (near Karlsruhe) in 1953, and they lived together in Florida. In 1961, after turning 70, he was forced to retire and he and Gisela moved back to Bruchsal in Germany, where he died on August 24, 1965. Felix loved camping and took his young family on many camping trips. In keeping with the rest of his artistically inclined family, he had an artistic streak and loved to paint watercolors - several of his letters to Erne included pressed flowers and poems. He supported his family in Ettlingen with care packages after the Second World War. Francine's father described Felix's life as one that spread "great good" and characterized him as a "venturing spirit". "Ein Friede, der der Befürchtung ausgesetzt ist, jeden Tag, jede Woche gestört zu werden, hat nicht den Wert eines Friedens; ein Krieg ist oft weniger schädlich für den allgemeinen Wohlstand als ein solcher unsicherer Friede". "Krieg ist ein Zustand, bei dem Menschen aufeinander schiessen, die sich nicht kennen, auf Befehl von Menschen, die sich wohl kennen, aber nicht aufeinander schiessen". Referenced by the Freie Universität Berlin in their project "International Encyclopedia of the First World War"
All photographic material is property of the stated source. Text content copyright K. Flatter. Awesome Inc. theme. Powered by Blogger.